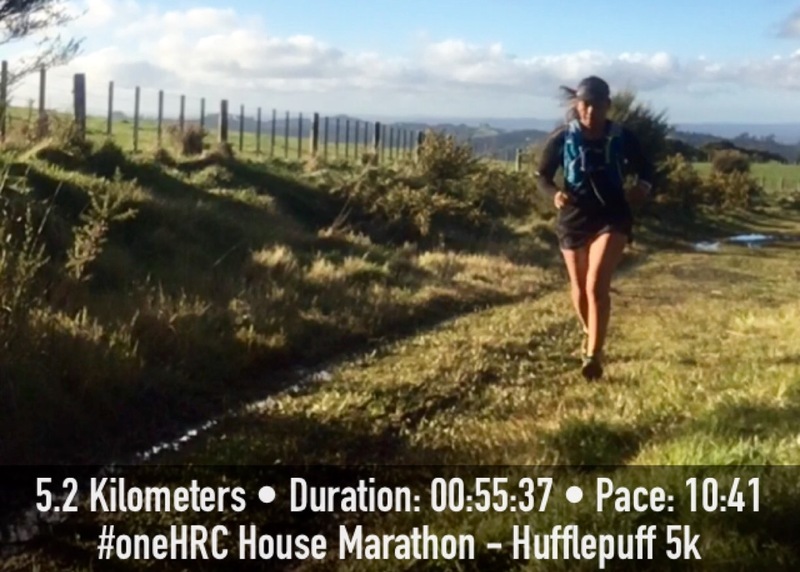 The Hufflepuff 5k was the third event (of the four that comprise the House Marathon) that I have now completed. You would think that mapping out a 5k route would be relatively easy, after all it’s not that big of a distance, which in itself seems like a strange thing to say when not so long ago it seemed like a marathon in itself! After reviewing all of the loops that I’ve created so far I concluded that they were either at least 1k shorter or quite a bit longer, so at the last second (as I was about to drive past), I decided to run an out and back on the Long Road track (from Long Road). 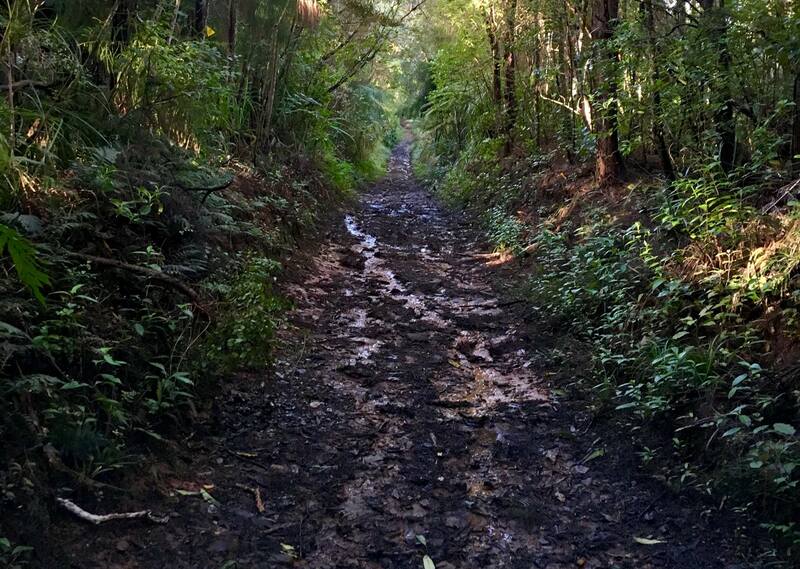 It would be a nice change, I hadn’t run that section of track in some time and after a week or three of tracks filled with streams, Long Road has no water crossings. For the first time in what seems like weeks, the sun was out and although it was still chilly I was thankful (as Long Road is high up on a hill and very exposed) that there was no real wind to speak of. It didn’t seem to make the climb up the driveway any easier though – that section always kills me. It’s pretty steep and the pieces of gravel underfoot are quite large (and deep in places) so it’s not the easiest surface to traverse so I was pleased to finally jump over first gate at Sylvia’s Grove to run beside the paddocks. As I sloshed through the grass towards the second gate I knew that the “track proper” would be muddy with large pools of water across the entire expanse of the track and as I crossed the threshold, those thoughts were confirmed. I find Long Road track really frustrating to “run” when it’s been raining. I should just learn to stay away from it during Winter, but I’m forever the optimist. I can’t wait for summer because I honestly think this would be a great track to run when it’s dry (although for some reason I always remember it being much flatter than when I’m actually on it). 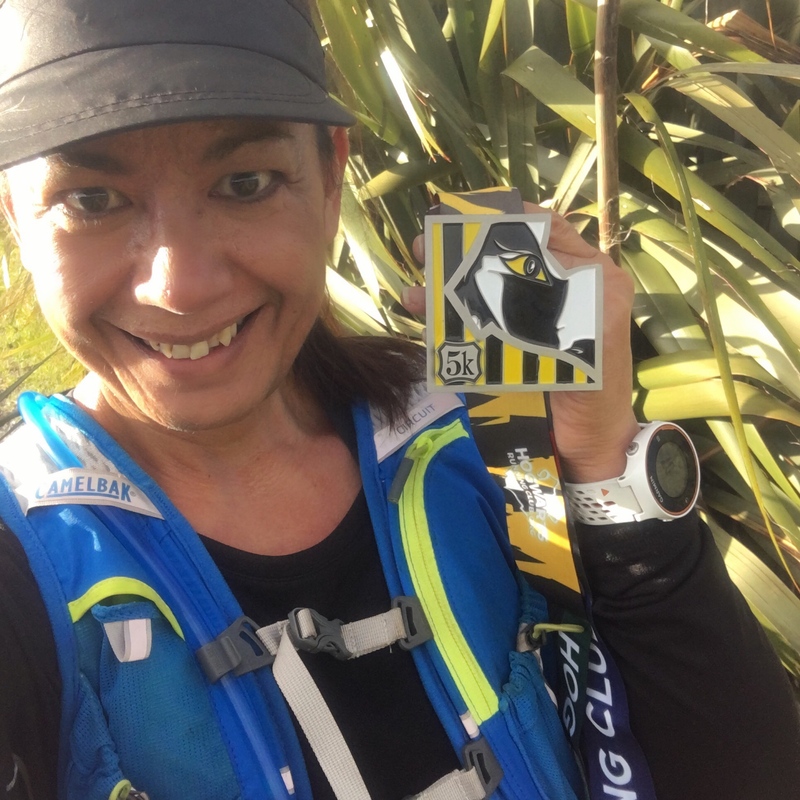 I’ll be frank and state quite honestly that the only reason I didn’t turn around and head back early is because I’d set out to earn my Hufflepuff 5k medal – After all, you don’t just get to pack it in and try again another day when you sign up to do an I.R.L* race. Also the “Downer Man” had passed me on the driveway and he’d seen me jump over the gate so it would look weird if I just ran to the second gate and then turned around again .. I mean he’d already watched me jump over the gate at Slyvie’s Grove. That’s a weird enough sight in it’s own right. Although in my defense, I was wearing a skirt and tried my best to act at least somewhat ladylike. Luckily I didn’t see how handsome he was until I jumped over the gate on my return when he smiled at me and asked how my run had gone as he was packing up his gear. I can only imagine what a hash I would have made of jumping over the gate if I was actively trying to look less gumby because a handsome man (that I don’t know and will never ever see again) was watching. The positive I’m going to come away with is that because 5k is pretty much a standard short run these days and I may not have felt it warrants a medal – with that hill and the amount of mud on the trail – I totally earned this one ..
I’m still not sure when I’ll do last portion of this event (the Gryffindor Half Marathon), I’m toying with completing it on a section of Te Araroa trail although I ran the low tide coastal section of the Okura Walkway yesterday afternoon which made think about running from Stillwater to Long Bay, both will take planning, so we’ll see.